The Transoft Foundation is a charitable arm of Transoft Solutions Inc. The Transoft Foundation’s mission includes the support of women’s educational pursuits. What better way to accomplish this mission than to provide financial backing to selected female students pursuing careers in civil engineering – a profession that aligns with Transoft’s business? 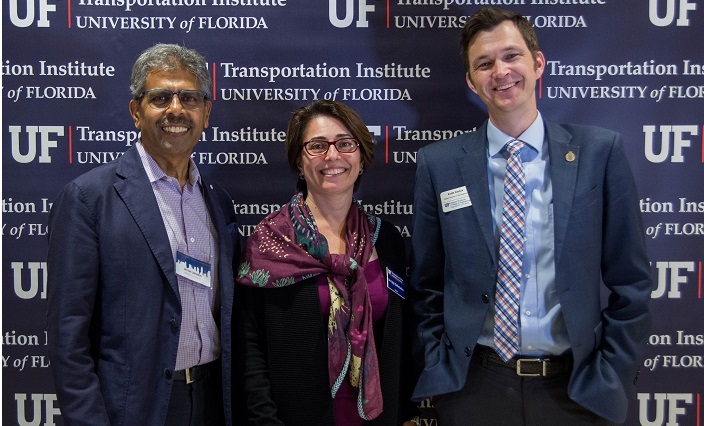 For the past two years, Transoft has donated a cash award of $1,500 each to two junior or senior civil engineering students at the University of Florida (UF). 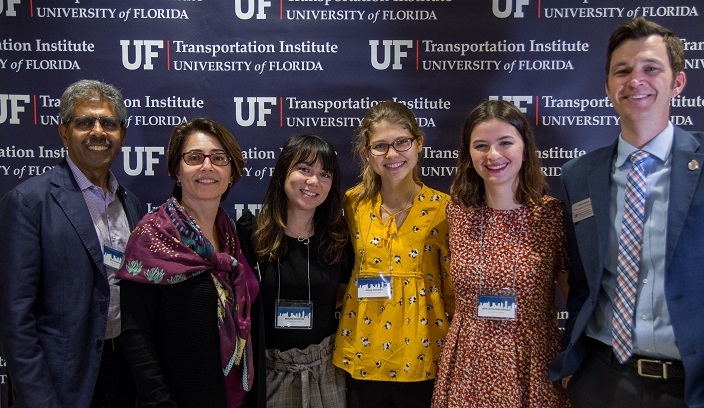 The “Transoft Solutions, Inc. Civil Engineering Scholarship in Transportation” fund is awarded to students who demonstrate aptitude and perseverance by achieving high rankings of students as determined by the UF College of Engineering. 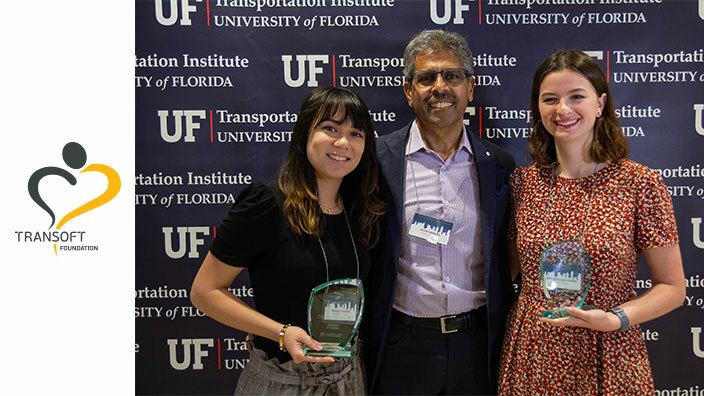 On March 28, 2019, Milton Carrasco, President & CEO of Transoft Solutions, presented this year’s award to Hope Sotolongo-Miranda and Savanna Stockton at the University of Florida Transportation Institute (UFTI)’s Women in Transportation Seminar in Gainesville, Florida. They join last year’s recipients, Sophia Semensky and Chayma Tika, as awardees of this new scholarship program that The Transoft Foundation will continue to fund.